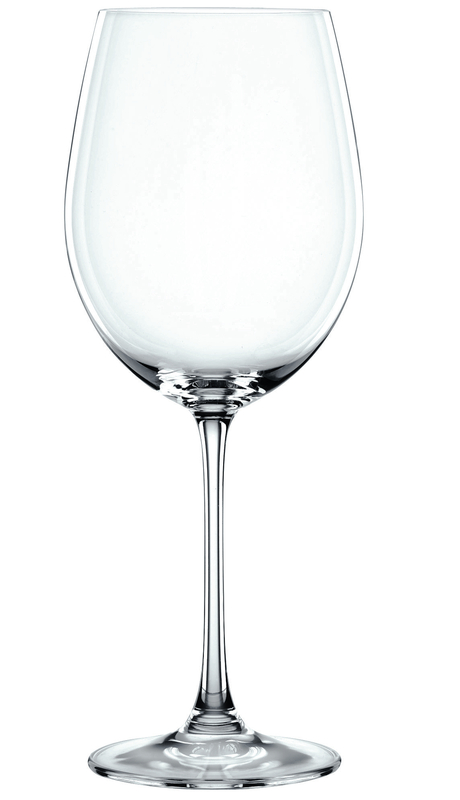 With a large rounded bowl sitting high on a slender stem, the Vivendi XXL Bordeaux glass is just the vessel for your favorite merlot, cabernet sauvignon, and, of course, Bordeaux vintages. Packaged here in a set of four Bordeaux, each glass. Wash by hand for best care. See Vivendi's white wine, champagne, and Burgundy glasses for coordinating stems and the tall drink, water / pilsner and double old fashioned tumblers for matching barware. Vivendi decanters are also available.